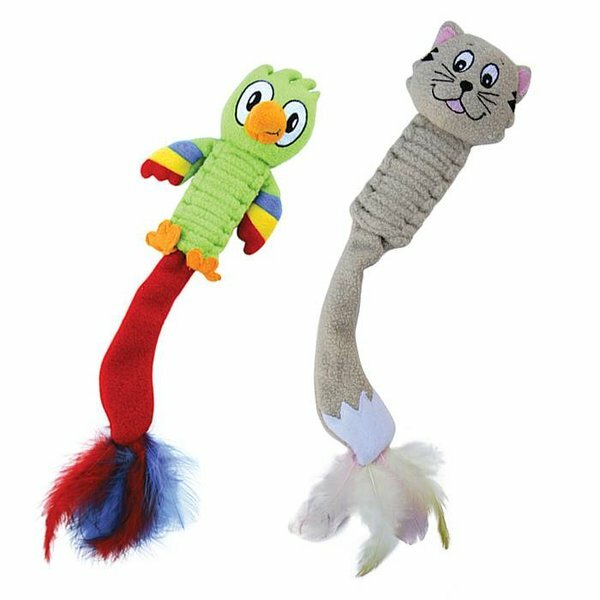 KONG Taileos amuse and entertain cats offering flexibility to bend, twist or kick for playtime fun. The soft braided fleece cleans and polishes teeth and is ideal for wrestling or snuggling while the crinkle sound and feathers attract cats and initiate play. KONG Premium North American Catnip will delight offering an added reward.